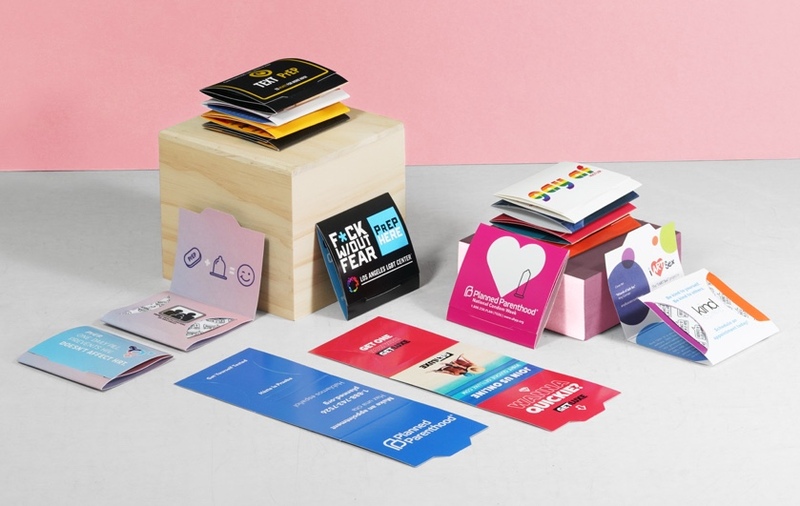 The Assorted Emoji Die Cut Promo Cards are a fun and effective way to boost your organization’s outreach campaign. They appeal to the difficult to reach younger audiences who typically ignore health and wellness related marketing efforts. Click the "Start Your Order" button below. You'll be asked to upload your logo and provide us with the info you want to include on each side. It's that simple. 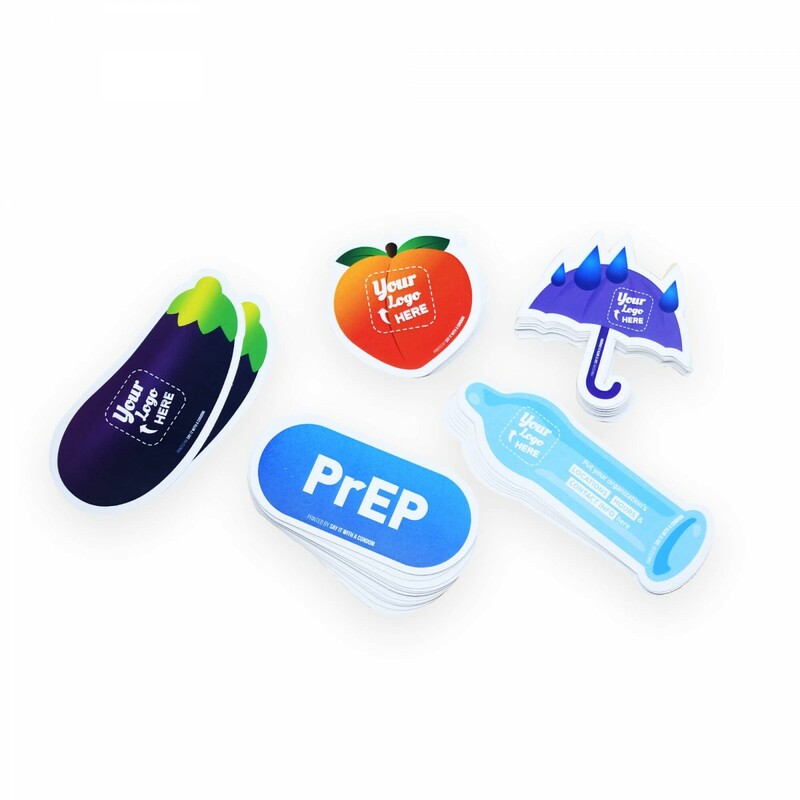 You receive equal amounts of each of the five designs - Eggplant, Peach, PrEP, Condom, and Umbrella. *What Info Do You Want to Include? There is a one time $100 setup fee for this custom die cut card option. We will keep your artwork on file indefinitely and will waive this setup fee if you place a reorder with the same design.